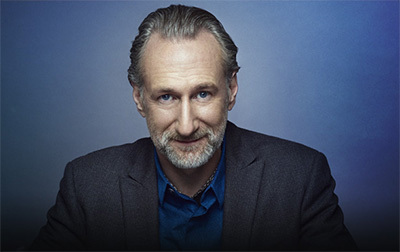 Brian Henson is Chairman of The Jim Henson Company and an award-winning director, producer, and writer for film and television. He is also a technological innovator and skilled puppeteer. Brian regularly joined his father Jim Henson on set when he was a child and by the time he was 17, he was working on projects like the marionettes in the complicated bicycle scene in The Great Muppet Caper, Brian became indispensable on the sets of his father’s productions. In May of 1983, Brian joined his dad on production of the The Muppets Take Manhattan. He was assigned to Faz Fazakas, often referred to as an electro-mechanical wizard, to help with special effects. Some of these involved radio controlled puppets and other animatronic techniques. He was also a performer, working the marionette rig for Scooter’s bicycle ride. Talented in both areas and interested in the work of his father’s Creature Shop, Brian kept an eye out for other opportunities in fantasy film work. In 1984, he moved to London to work on Return to Oz. The film was not a Henson production, and allowed Brian to assemble his own team of animatronic performers that worked with him on several projects, including Jim Henson’s fantasy classic Labyrinth. Brian served as puppet captain for the film while also performing the character Hoggle with Shari Weiser. Brian’s work both inside and outside the company during the 1980s allowed him to establish relationships on both the technical and performing sides of the business, giving him a strong foundation for his leadership role in the following decade. Following the death of his father in 1990, Brian moved back to America to become the CEO of The Jim Henson Company. In 2009, he became Chairman of the company and his sister Lisa Henson became sole CEO. Henson is currently directing and producing the feature film The Happytime Murders, starring Melissa McCarthy. Previous credits include, Executive Producer on the television projects Farscape: The Peacekeeper Wars (which he also directed) and Jim Henson’s Jack and the Beanstalk: The Real Story (which he co-wrote and directed). He also directed "Battleground," an Emmy Award-winning episode of Nightmares & Dreamscapes: From the Stories of Stephen King for TNT. Henson’s television producing credits include Bear in the Big Blue House, Gulliver’s Travels, Muppets Tonight, and Dinosaurs. Henson’s long list of film credits includes The Great Muppet Caper, Return to Oz, Labyrinth, The Witches, Little Shop of Horrors, Teenage Mutant Ninja Turtles, The Muppet Christmas Carol, and Muppet Treasure Island. Henson has also led the creative and technological innovations of the company, overseeing the groundbreaking work at Jim Henson’s Creature Shop, one of Hollywood’s pre-eminent character-building, digital and physical visual effects facilities. He was part of the team that first created and utilized the Henson Performance Control System, a powerful custom-based interface for puppeteers, which won an Academy of Motion Picture Arts and Science Scientific and Engineering Award in 1992. He has also been leading the Shop’s work with its revolutionary puppeteer animation system, the Henson Digital Puppetry Studio. In 2009, he and his team were awarded a Primetime Emmy Award, Academy of Television Arts and Sciences, Outstanding Achievement in Engineering Development for this proprietary system that allows performers to puppeteer digital characters in real time. Along with his many talents in performing, directing and technical innovation, Henson is a master at improvisational comedy. In 2005, he created Puppet Up! Uncensored, a live puppet improvisational show starring the miscreant puppet troupe, which was named a top ten “Best Stage Show” by Entertainment Weekly and has toured comedy festivals in Aspen, Las Vegas, Edinburgh, New York and Australia, and continues to play venues around the country.